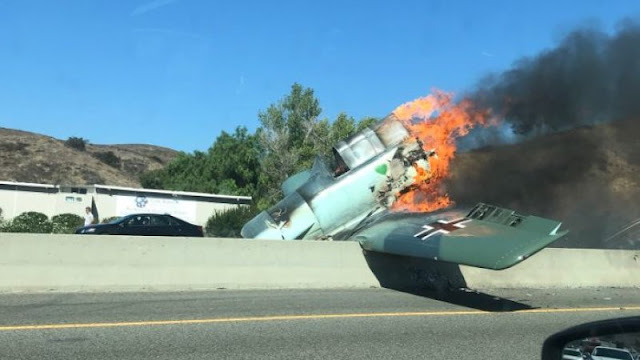 Home / #AmericanRoadRadio / #Chronicles / #LosAngeles_Chronicles / #TopStory / #TrueNews / #USLocal / #TrueNews,#TopStory :German plane with Luftwaffe signs crash on 101 Freeway in Los Angeles California ! #TrueNews,#TopStory :German plane with Luftwaffe signs crash on 101 Freeway in Los Angeles California ! 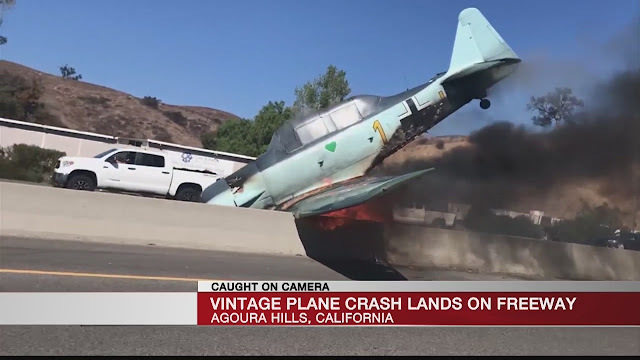 A plane crashed and burst into flames in the middle of the busy 101 Freeway in Southern California on Tuesday, bringing traffic to a standstill. The accident was reported about 1:50 p.m. near the Liberty Canyon Road exit of the northbound side of the freeway in Agoura Hills, according to the Los Angeles Fire Department. The cause of the accident wasn't immediately clear. The LAFD rescued the pilot, who was trapped, and said there were no other injuries. CBS Los Angeles said the victim is an experienced pilot for Alaska Airlines in his 40s. The California Highway Patrol urged motorists to avoid the area as fire crews extinguished the flames. They say some lanes have since reopened to traffic. "Please keep the [freeway] shoulders clear for emergency vehicles," they added. Earlier, the freeway had been closed in both directions near the crash site.